Forty-two years after Donald Trump first proposed a mixed-use development on the Upper West Side waterfront, one of the final pieces of the puzzle is coming together, reports. Riverside South is an urban development project in the Lincoln Square neighborhood of the Upper West Side of Manhattan, New York City. 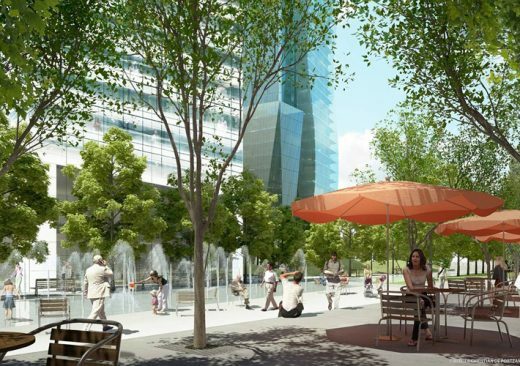 When complete, Riverside South in New York will include more than 7,000 new homes, retail plazas, restaurants, a K-8 school, parking and over 21 acres of parkland. It was originated by six civic associations – Municipal Art Society, Natural Resources Defense Council, New Yorkers for Parks, Regional Plan Association, Riverside Park Fund, and Westpride – in partnership with Donald Trump. The largely residential complex, located on the site of a former New York Central Railroad yard, includes Trump Place and Riverside Center. 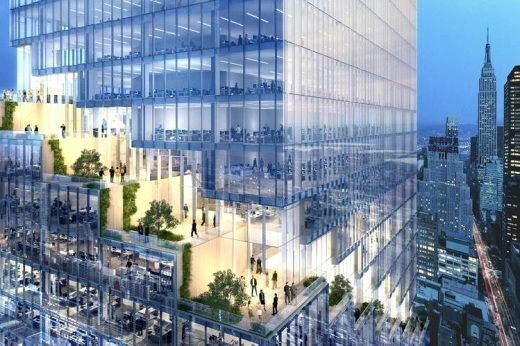 The $3 billion project is on 57 acres (23 ha) of land along the Hudson River between 59th Street and 72nd Street. 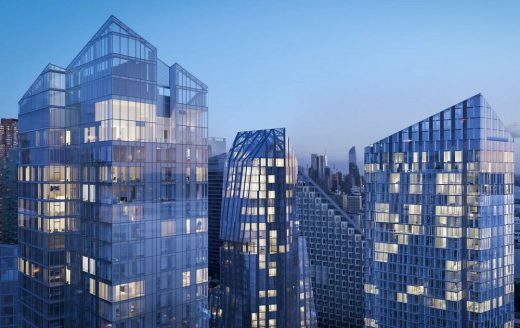 New renderings have been released of what’s now being called Waterline Square, a trio of residential towers on the five-acre site between West 59th and 61st Streets that’s part of Riverside Center. 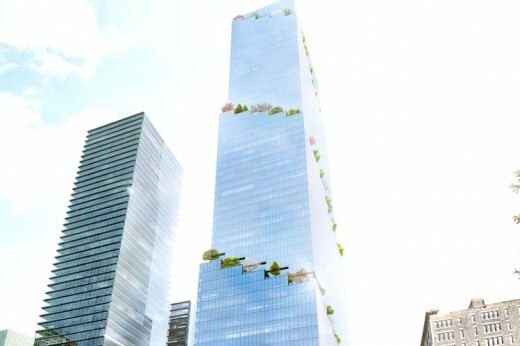 The glassy buildings will contain a mix of condos and rentals. At the base is a Mathews Nielsen-designed park. Trump sold Riverside South to investors from Hong Kong and China, who began construction in 1997. In 2005, the investors sold the remaining unfinished portions to the Carlyle Group and the Extell Development Company. In November 2016, Donald Trump’s name was removed from 3 buildings after protests against his election as the 45th President of the United States. 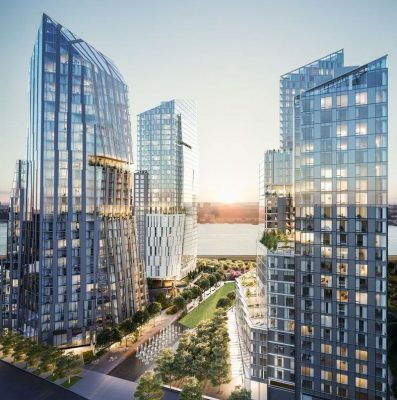 Extell’s most prominent project to date is the waterfront reclamation of the former Central Rail Yards on Manhattan’s Upper West Side, which represents one of the largest residential development transactions in New York City’s history. Stretching from 72nd to 59th Streets along the Hudson River and Riverside Park South, the 77-acre site known as Riverside South was approved in 1992 and development commenced in the mid 1990s. In 2005, Extell and its Joint Venture partner acquired the remaining undeveloped sites from 65th to 59th Streets.